KFC Social Media Marketing Strategy. Img. Src.- Pixabay. 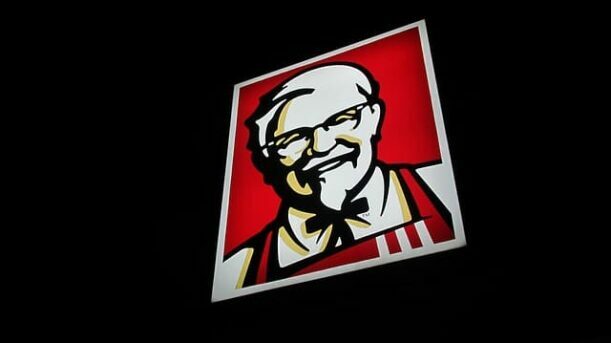 KFC is a leading brand in Yum Brands’ portfolio. It is a QSR restaurant chain that serves chicken recipes. KFC is a global restaurant chain that was founded in Corbin, Kentucky by Colonel Harland D. Sanders, an early developer of the Quick Service restaurant model and a pioneer of the restaurant franchise concept. KFC operates across 135 countries and by the end of the year 2017 it had 21487 stores. Around 97% of these stores were franchised. These restaurants offer a large menu of friend and non fried chicken items like sandwiches, chicken strips, chicken-on-the-bone. KFC serves a large uniform menu except some regional variations. The Yum brand that owns KFC also was Pizza Hut and Taco Bell. The QSR industry is seeing higher competition in recent years. KFC competes with a large number of QSR brands including those serving hamburger and fried chicken items. The company is also excellent in terms of marketing. It uses a variety of channels to market itself and its products. Apart from the other digital channels like its website and online advertisement, the company also uses social networking channels for promotions. Read about how KFC uses social media to promote its brand and products and for running seasonal marketing campaigns. Facebook is a leading social media platform and an effective channel for marketing your business. The leading social media network offers a large audience of around 2 billions from all around the world. It also offers several effective tools that business can use to promote their product and service portfolio. Apart from connecting with users and engaging them, the brands can use Facebook features for discussion and communication. KFC has a large base of followers which is close to 53 million. The brand uses Facebook for running regular promotional campaigns. KFC publishes regular posts on Facebook. However, the number of posts remains limited to just a few each week. It shares promotional content with its loyal followers. Each of these posts receives hundreds to thousands of Likes. Some videos have received millions of views which proves both the reach of Facebook and the popularity of the KFC brand. One of the videos KFC shared on KFC India page has received around 16 million views. The KFC app has more than 400 K monthly users. Overall, KFC has achieved an impressive level of engagement. Consumers put forth their delight or complaints openly. KFC uses Facebook for feedback and customer service as well. Twitter is also a great social media platform with effective marketing tools and features which allow you to share multimedia content with ease. Brands use it for running promotional content and sharing images, videos and more promotional material. It is an impressive channel for real time marketing and connecting with your followers. KFC has got around 1.3 million followers on Twitter. KFC is quite a famous brand. However, it does not tweet so regularly from social media channels and uses it rather for weekly promotions. The engagement level is impressive. Each tweets receives hundreds of likes and several shares, retweets and responses. However, KFC is a famous brand and remans in news. It is also why the brand is discussed widely across the social media platforms. Instagram is a good channel for promoting your brand through multimedia content. The network offers features that are best for sharing promotional content and discussions. Insta is good for running promotional campaigns because apart from a large audience, the platform offers tools for easy sharing and discussions. The company has a nice large group of followers on Instagram. There are around 1.3 million following the company on Insta. It is quite good in terms of engaging and discussions. The number of responses and likes KFC receives is generally higher on Insta. KFC has made around 600 posts on Insta including images and videos. Each of the videos has received views in thousands. Linked In is also great social media brand that offers a large audience of professionals. The channel offers features for branding, marketing and discussion as well as an opportunity to promote your work culture and business strategy. Apart from growing your audience and engaging your users, you can use Linked In to showcase your company’s vision and values. KFC has around 48 K followers and uses its account to promote its work culture. However, its level of activity on Linked In is nearly nil. The company has made only three posts on Linked In. It can use Linked In to engage users on topics like food quality, work life, supply chain management, CSR and sustainability. Video marketing is now an indispensable part of the marketing strategies of most QSR brands. All of them use YouTube for video marketing and to promote their products and brand. KFC has several channels on YouTube which are dedicated to different markets. The company has around 400K followers on YouTube. It has posted around 50 videos on YouTube. The brand has engaged its followers well using YouTube. KFC has used promotional and educational videos for marketing and to allow users space for discussion. Most of these videos have achieved hundreds of thousands of videos and some in millions. KFC is a good marketer and markets its brand from various social media platforms. While Facebook offers attractive reach, Insta offers nice level of engagement and YouTube provides great opportunities of video marketing and sharing educational and informational videos. Social media channels provide attractive opportunities of marketing and growth. Brands can grow their user base and reach millions of fans and followers around the world easily. KFC has achieved an impressive engagement level and reach on all these channels which reflect its popularity and customer loyalty.